Democrats Aim at Midwest With Choice of Milwaukee for 2020 ConventionDemocrats hope to tilt Wisconsin, and perhaps the entire region, but parties don’t always get a bump in the state where they hold their convention. GOP Awards Its 2020 Convention to the Only City That Sorta Kinda Wanted ItMore than likely, the 2020 RNC will be a global and local protest magnet. 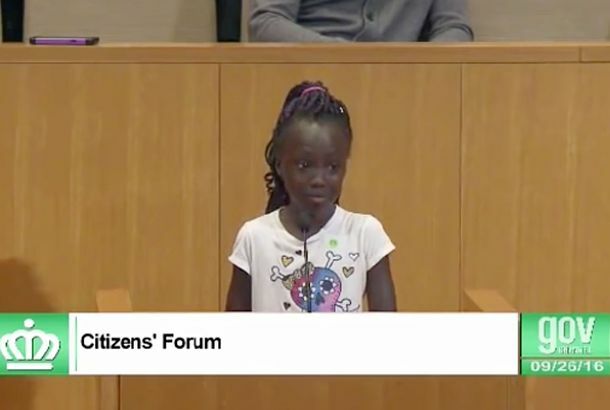 Will This Girl’s Heartbreaking Speech Finally Put a Stop to Police Brutality?It’s a devastating plea. Charlotte Police Release Videos of the Shooting of Keith Lamont ScottActivists and Scott’s family believe the videos raise more questions than they answer, and the protests continue on. 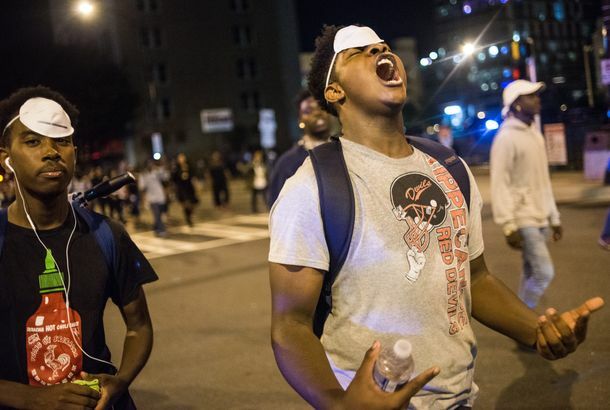 Man Wounded in Protests Dies As Charlotte Demonstrations ContinueThe city has enacted a curfew though Thursday’s rallies were more peaceful. Keith Scott’s Family Views Videos of His Final Moments, Calls for Their ReleaseBoth sides say it’s unclear from the footage what Scott had in his hands when he was shot by police. Could the Charlotte Protests Tip North Carolina to Trump?In a dead-even battleground state, violence could be a boost for law-and-order Republicans. One Person Shot During Protest of Charlotte Police ShootingThe governor of North Carolina has declared a state of emergency. 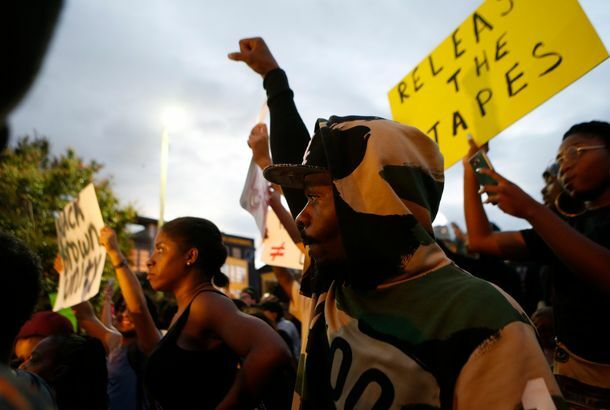 Protests Erupt After Police Fatally Shoot Black Man in Charlotte, North CarolinaPolice say the man was armed, but witnesses claim he was reading a book in his car. It’s Princess Charlotte’s Birthday — Time for a Photo ShootNobody does baby portraits quite like royalty. Marc Jacobs Gives the Best Baby PresentsInvite him to your baby shower. Charlotte Mayor Resigns Following Arrest on Bribery Charges Sorry to spoil the American Hustle of 2048. Protesters Stage Pre-DNC March Through Charlotte A diverse coalition of demonstrators made stops at Bank of America’s headquarters and Bank of America Stadium. Charlotte Prepping for Occupy Wall Street at DNCThe city is moving to ban public tents ASAP. Obama Hoping to Win Every State Again in 2012Charlotte has been selected to host the 2012 DNC. Miracle on the Hudson Plane Will Likely Retire to North CarolinaNew York museums didn’t think it was worth the effort.